PADI 5 Star Instructor Development Center — Dive Georgia - Atlanta Metro Scuba, Snorkel, Travel, and Training! Dive Georgia is very proud to announce that we are now your Atlanta Metro PADI 5 Star Instructor Development Center! 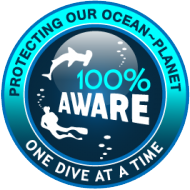 This is awarded to a very small percentage of PADI Dive Centers that have proven excellence in the dive industry and professional training. We have scheduled classes right now for Divemaster, Assistant Instructor, Instructor, MSDT, and EFR Instructor quickly filling up now! Call the shop for more information if you are ready to GoPro and share your passion for diving with others!